A new series of aerial photographs, taken in the early hours of a bright August morning, reveals the spectacular progress accomplished on the ITER worksite over the last five years. 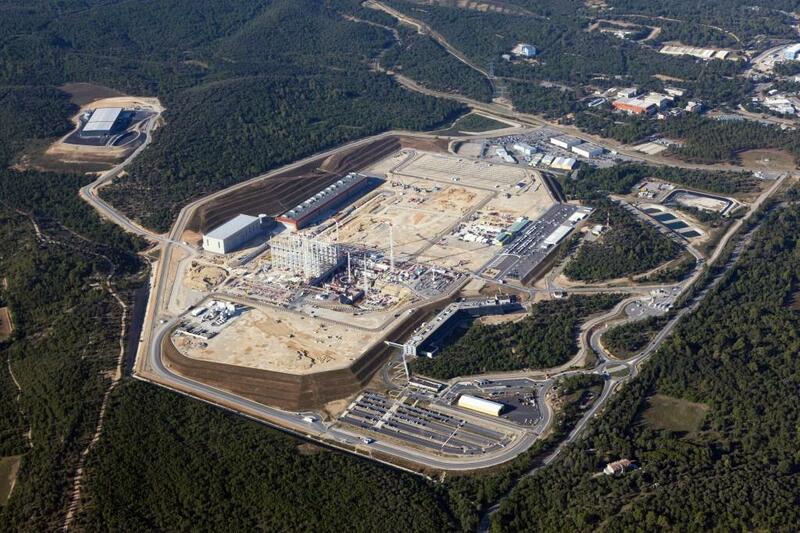 Nested in the Cadarache forest, the ITER platform (pictured here looking southwest) is now teeming with activity: the roof structure for the Assembly Hall (in white) is being readied for installation in the first week of September, walls are rising in the Tokamak Pit; and groundwork has begun in the area of the cooling towers, the Control Building, the Radio Frequency Heating Building and the cryogenic plant. 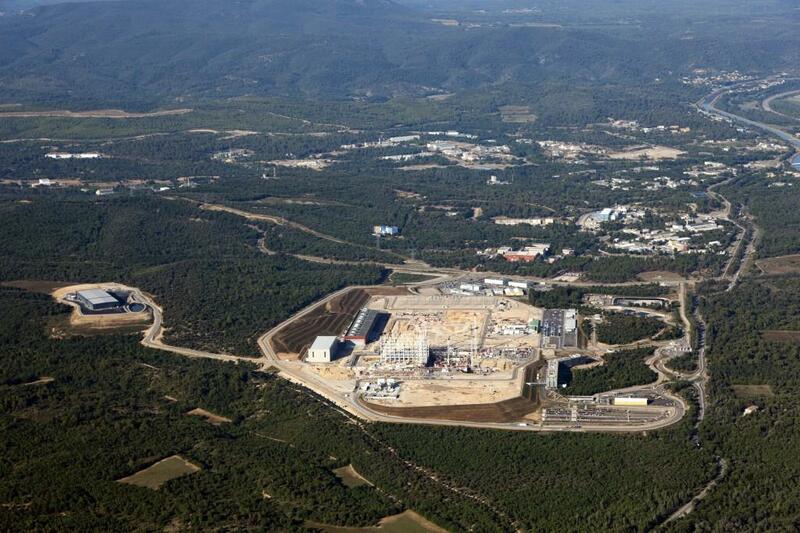 On the left side of the image, a 10,000 m² warehouse for the storage of ITER components is almost completed.